The Minister for Immigration (Mr Mark Harper): I am today announcing the renewal of concessions to the immigration rules for Syrian nationals lawfully in the UK. In the light of the ongoing violent conflict in Syria it has been decided that the UK Border Agency (UKBA) should continue to operate some discretion to enable Syrians legally in the UK to extend their stay here. Syrians in the UK with valid leave (or leave which has expired within the last 28 days) in specified visa categories will continue to be able to apply to extend their stay in that visa category, or switch into a different specified category from within the UK (with some restrictions) rather than being required to return home first. Those applying will still need to meet the requirements of the relevant visa category, pay the appropriate fee, and adhere to the normal conditions of that category—no access to public funds, for example. If a required document is not accessible due to the civil unrest in Syria UKBA may apply its discretion and the requirement to provide that document may be waived where appropriate. These concessions will remain in force for one year from today. The Government continue to monitor the situation in Syria closely in order to ensure our response is appropriate and that any emerging risks are addressed. I am placing a copy of the authorisation for this concession in the Library of the House. Mr Harper: Officials from the Department of Business, Innovation arid Skills are aware of a number of students and universities affected by the situation in Syria and are working with Universities UK to identify ways to enable students from Syria to continue their studies in the UK. We are not aware that any students have been removed from their courses as a direct result of the political situation in Syria and the impact this has had on their ability to access funding. We appreciate the potential challenges faced by students living in the UK who wish to receive money from countries that are subject to financial sanctions and look favourably on licence applications to the Treasury to enable the financing of education. As a result of the exceptional situation the UK Border Agency has allowed Syrian students in the UK to extend the period of their visas or switch visa route where the immigration rules would have otherwise prevented them from doing so. The UK Government claims that it supports those Syrians fighting the dictatorship of Assad but now it threatens to deport Syrian students who can’t pay their university fees because funding has stopped. When the UK Border Agency threatened to deport Libyan students in 2011, SYMAAG, alongside Libyan community organisations, student groups and other campaigners protested. The Libyan Government had cut funding to students in the UK who had demonstrated against Gaddafi. UK universities were persuaded to defer payment of fees from these Libyan students, stopping their deportation to Libya and likely persecution. Hundreds of Syrian students face being expelled from the UK and sent back to their home country, where they could face torture and even death, the Huffington Post UK has learnt. Up to 650 students face deportation to Syria where they may be subject to “detention, torture and even assassination at the hands of the Syrian regime”. Due to the conflict in Syria, many students can no longer pay their tuition fees as their sponsors have either been killed or imprisoned, meaning they cannot afford to continue studying. Mo Saqib, a third year student at Manchester University, is campaigning for the UK government to assist students whose degree funding has been cut by the Assad regime. Along with Christine Gilmore, a PhD student a Leeds University, he has been accruing evidence of the plight of Syrian students. He told HuffPost UK: “The UK government’s position is that it’s up to universities how to assist students- we have evidence of universities who have already expelled students, and others who have threatened to do so. Expelled students will then be deported to Syria, where they risk being detained and tortured, or even killed, by the Assad regime. 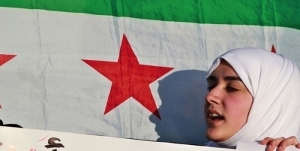 “Their lives are at greater risk if they are suspected of having supported the Syrian revolution while in the UK. The UK government needs to step in and help Syrian students just as it was able to Libyan students in the same situation. He added: “For those students not sponsored by the government, but by family or companies instead, their families members are now either dead or out of work, and many businesses have closed or been destroyed,” Saqib says. According to Saqib, many universities have transferred the financial liability onto the Syrian students – despite them having no means of paying. “A number of universities have already expelled students. Others have made clear to students that the financial liability is on them – either they will be expelled, or the qualification will be withheld until the fees are paid. The National Union of Students is now considering launching a campaign on behalf of the Syrian students to force the British government to guarantee them financial support. At least 100 students were sponsored by the Syrian government under the British Council’s capacity building scheme but have had their funding stopped by the Syrian authorities. “Syrian students whose student visas lapse and lose the right to work risk destitution in the UK. Despite Burt getting involved in the students’ plight, Saqib says this is simply not good enough. “Mr Burt has left the matter to universities’ own discretion, some of whom are expelling students. If a student is expelled, they may also be deported back to Syria, where they risk being detained, tortured or killed as the regime continues to indiscriminately target innocents. “Mr Burt appears to think that the matter is one of transferring funds over to the UK. He is wrong, as students’ sponsors are either dead or out of work, hence unable to accrue funds,” Saqib adds. Liam Burns, president of the NUS, told HuffPost UK: “The situation in Syria is devastating enough without universities turning their backs on those currently studying in the UK. What we urgently need to see is every Syrian student is given support when finances aren’t forthcoming so they can continue their studies. The NUS is discussing a motion to urge all UK universities to waive or reduce the tuition fees, or extend the payment period for any Syrian student affected by the conflict. “UK universities should not make any Syrian student sponsored by the Syrian government personally liable for their tuition fees but should register their tuition fees debts against the Syrian authorities,” the NUS adds. The British Council said it had established a hardship fund to support the living costs of the 100 Syrian scholars who are studying in the UK through the Syria Higher Education Capacity Building Project. So far, it has paid, or in the process of paying, grants to 58 of the 100 scholars to help support their living costs during this 12/13 academic year. There are eight partner universities in the UK involved in the scheme: Brunel, Edinburgh, Essex, Heriot-Watt, Manchester, Marjon (St Mark and St John), Newcastle and Warwick. The university insisted it had a full support package for the students, including the opportunity to apply for hardship funds. “Our Student Life welfare team has already been in contact with all our Syrian students to offer support and, at the time we were contacted by Huffington Post, none had made an application for hardship funds,” a spokesman said. Saqib is eager to stress any students who feel their lives are at risk if they are deported can can claim asylum in the UK. He can be contacted via Twitter: @Mo_Saqib.